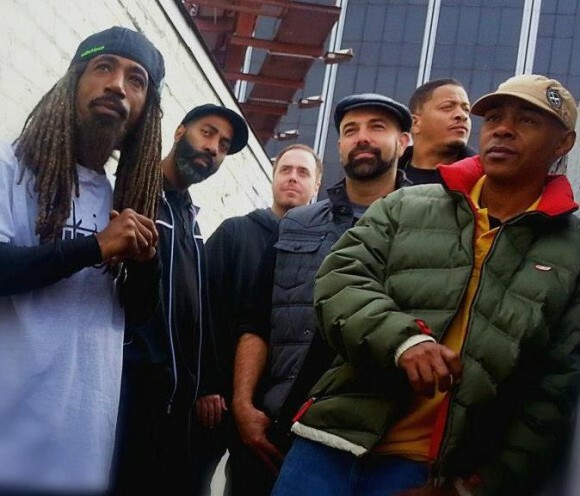 Los Angeles’ wondrous hip hop band Jurassic 5 is here on Wednesday evening, July 9th, with a show at Showbox at the Market! This music makes me want to dance. Hard. It just does. You can hang out with like-minded people for the night – as long as you are over 21. Jurassic 5 have just released their first single, “The Way We Do It,” since 2006’s “Without a Doubt.” It’s a great song, and an extremely welcome return. In a sweet combination, they worked with Heavy D, who passed away in 2011, as producer on the new song. Let’s hope this is the beginning of a new chapter for Jurassic 5. Go have a listen to them and see why we’re excited about this reunion. For more details and to purchase tickets, follow the rabbit hole – I mean – link. Written by: Dagmar on 07/08/2014. This entry was tagged jurassic 5, posted by dagmar. Bookmark the permalink.